Our interactive Caravan & Motorhome Calculator below is designed to give you a guide on how much your repayments might be or how much you could borrow to purchase your dream caravan, motorhome or camper. Alternatively, the Borrowing Calculator can provide an estimate of how much you could borrow based on your repayment budget – ie what you feel you can comfortably afford to repay each week, fortnight or month. 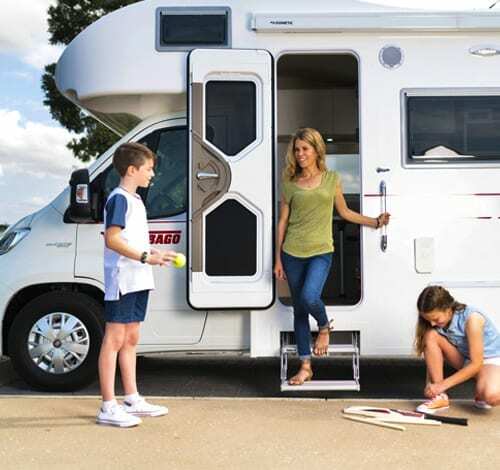 When using any Caravan Finance Calculator, keep in mind that asset finance (including for recreational vehicles) is largely a ‘risk-based lending system’. This means that the rate offered to each customer by our lenders is based on each customers individual lending profile, circumstances and the asset they are looking to purchase. As each customer is different, the caravan loan interest rate offered is also likely to be different. This is where our Caravan Finance Specialists come in. They first understand your particular circumstances, budget and asset you are wanting to purchase. Then they use their knowledge of caravan finance and our 20+ lenders loan criteria to find you the caravan finance options and interest that is best suited to your needs. Learn more about how we work to get your best rate or make an enquiry now to speak to a Caravan Finance Specialist. Terms & conditions of use: This calculation is provided as a tool to help customers estimate the repayment amount at a user specified interest rate and duration. Figures displayed in this tool may not include all fees and establishment charges. 360 Finance is under no obligation to offer private or business vehicle finance at the rate or loan duration period specified within this tool. Please note that while weekly and fortnightly repayment options are displayed, this repayment option may not be available from all lenders. To learn what your individual repayments on a given loan amount would be please call 1300 361 360 and speak to a 360 Finance consultant today. This is a model, not a prediction. It only gives you an estimate of amounts and repayment periods; the actual amounts may be higher or lower. It does NOT include extras such as establishment or account fees. It applies to loans where your regular repayment includes both interest and the gradual repayment of the amount borrowed. It does NOT apply to interest only loans. It does NOT consider your ability to make the repayments shown. To help you consider the impact of interest rates changes, an example is provided. This shows the impact if interest rates rose by 2% per year. Interest rates could rise in future by more than 2% a year. It assumes interest is calculated by compounding on the same weekly, fortnightly or monthly basis as the frequency of repayment you select. It is NOT intended to be your sole source of information when making a financial decision. You should consider whether you should get advice from a licensed financial adviser. 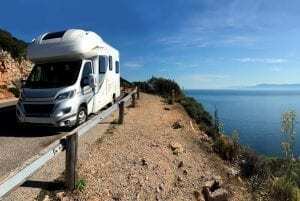 What is a caravan loan calculator? A Caravan Loan Calculator can provide you with an idea of what your weekly, fortnightly or monthly caravan or motorhome loan repayment might be OR how much you may be able to borrow for your recreational vehicle based on your weekly/monthly budget. The Caravan and Motorhome Calculator allows you to enter your 'ideal loan' details into the calculate which will provide either a guide repayment amount or a total amount you may be able to borrow. The user specified fields in the calculator include the Loan Term (1-5 years), Frequency of Repayments (Weekly, Fortnightly or Monthly), Loan Amount or your Weekly Repayment amount that you feel you can comfortably afford. Please note that all online calculators should be used as a guide only as they do not take into account your personal lending profile, circumstances or asset type. The interest rate used on these calculations may not be applicable to you or the asset type. (See Calculator Terms & Conditions above). What will my caravan loan repayments be? Our Caravan Loan Calculator can give you an estimate of what your caravan or motorhome loan repayments might be based on the amount you would like to borrow and the Loan Term (ie 1-7 years). All Finance Calculators on our website should be used as a guide only, as they do not take into account your specific circumstances, lending profile (credit score) or any fees or lender charges applicable. Our Caravan Loan Borrowing Calculator can give you an estimate on how much you may be able to borrow based on what you feel you can comfortably repay (or budget for) each week, fortnight or month over a certain Loan Term (ie 1-7 years). 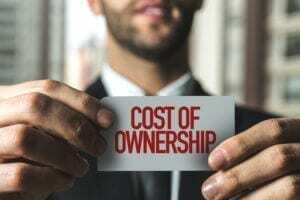 What will my caravan loan interest rate be? 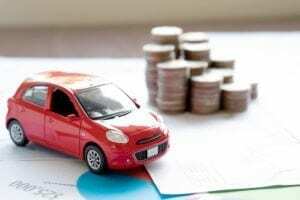 All 'Asset Finance' such as caravan or motorhome finance is largely a risk-based lending system. This means that the lenders determine your specific caravan loan interest rate based on a number of factors specific to you such as your lending profile (credit score), financial needs, personal circumstances and importantly - the age and type of caravan or motorhome you are looking to purchase. 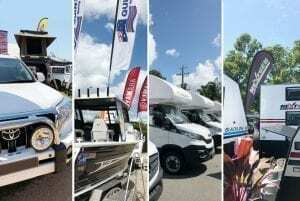 Speak to one of our Caravan Finance Specialists who will work to find your lowest caravan finance and interest rate from our panel of over 20 Australian bank and non-bank lenders. Easter weekend is nearly upon us and this year it is closely followed by ANZAC day! Oh and it is School Holidays also!If you are planning to getaway for ... Read More. 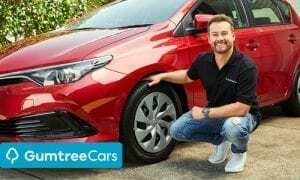 Gumtree Cars appoints Grant Denyer as ambassador, as it seeks to become the # 1 motors marketplace Former V8 supercar driver, and TV & radio personality, Grant ... Read More. 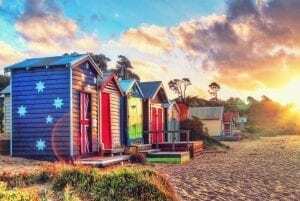 If you are looking to live your ‘life upgraded’ in 2019 and make the most of the great Australian Outdoors, then we have THE list of outdoor, adventure and home ... Read More. Fantastic! Australia Day lands on a weekend meaning that we all get another long weekend this year to really embrace what our great country and its people have to ... Read More. The beginning of any new year often brings with it great motivation and enthusiasm for what can be achieved in the year ahead and to reach those end of ... Read More. It is getting close to that time of the year again when we all start looking forward to the Christmas & New Year Holidays This time of the year is ... Read More. IMPORTANT NOTICE: 360 Finance Pty Ltd is an Australian company that offers finance and insurance services in Australia only We’ve been made aware of some recent fraudulent emails posing as 360 ... Read More. If you have visited us before, you may have noticed a few changes our new website, new logo and brand! On 16th October 2018, we launched this new website and ... Read More. 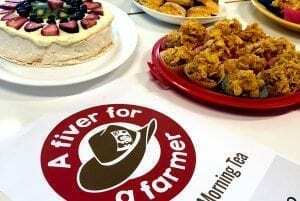 The entire team at 360 Finances’ Brisbane Head office had fun today getting behind the ‘Fiver for a Farmer’ drought relief campaign with a good old Aussie Morning ... Read More. Extended hours to better serve our customers 360 Finance is pleased to announce that as of Monday 20th August, we will be extending our opening hours during ... Read More. What is a Toy Hauler Caravan? 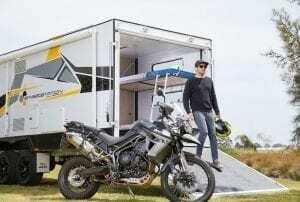 Every weekend in Australia from summer to winter, all manner of outdoor, sports and adventure loving enthusiasts head off to enjoy the great outdoors From dirt bike, Quad and ... Read More. If you want to take advantage of the End of Financial Year bargains, then June is the ideal time as dealerships need to move as much stock as they ... Read More. If caravanning is in your plans for 2018, then we have the guide to help you research the best options available to suit your budget and travel style. We... Read More. 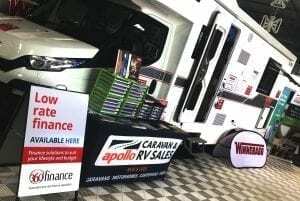 360 Finance were proud to support our newest business partner – Apollo Caravan and RV Sales onsite last weekend at the Victorian Caravan, ... Read More. The rise of the Food Truck. 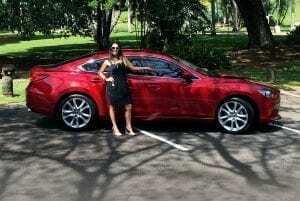 Setting up and financing your own. 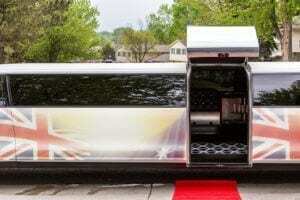 Food trucks have become Australia’s most in-demand summer eating craze like the globalisation of fashion trends from beau monde cities like Los Angeles and New ... Read More. Living Life Upgraded! 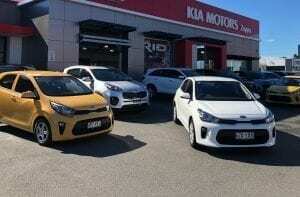 A story of Karyn, Ollie and Ruby This is Karyn from the Northern Territory, and like many of us, Karyn’s cars become a big part of her life, is ... Read More. 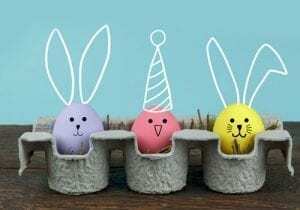 Happy EOFY!, 25%* Finance (Terms and conditions apply), Runout Sales, Drivaway Deals* The drums are beating in dealership land and the pressure to clear stock is at an ... Read More. 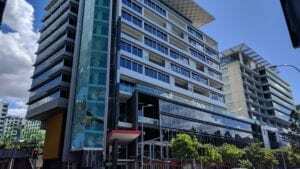 As 360 Finance continues to grow as Australia’s leading asset finance broker, we’re delighted to announce that we will be moving to a brand new office in South Brisbane from ... Read More. Now that it’s the start of a new year, you might be looking for ways to save money to help reach your financial goals for 2017 After a home, a car is the ... Read More. With a wave of young Aussie celebs coming into the spotlight, we decided to give the likes of Kylie Minogue, Elle Macpherson & Hugh Jackman a well deserved rest ... Read More.